Decay, it’s a bit of a fickle word. Just the mention of it conjures up unsettling images of rot and decomposition. Destroy, do I really have to define this one? It’s a word we all know and maybe even use too much. But which is worse, to destroy or to decay? It is a question that many of our great abandoned wonders have faced over the years. Many local legends such as Sunrise Resort and Undercliff Sanatorium have been demolished. 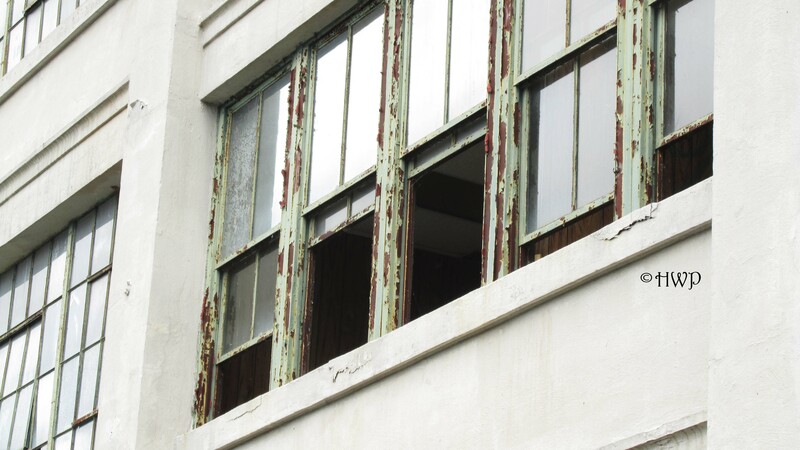 But others, such as the abandoned Mansfield Training School, have faced decay. Rather than being demolished it has merely been left to rot. Sure, certain precautions have been taken to shore up the property. But let’s be honest, we’re simply delaying the inevitable. Though many tall fences have gone up since our last visit, Mansfield Training School is continuing its slow decent into destruction. In the waning days of Summer 2016 began to slowly fall off the calendar, like leaves from a tree, we made our return to the abandoned Mansfield Training School. Some places are just worth a second or even a third visit. And this is certainly one of them. Sitting on the far side of the Depot Campus of the University of Connecticut, the abandoned Mansfield Training School was as quiet as I remembered it. Just a short stroll from the hustle and bustle of the main campus, it is shocking how desolate this corner of the school feels. We did not come across a single soul on our walk through the former hospital quad. Just like our previous visit. The whole place felt like something out of a nightmare. Even though it lies in such close proximity to one of the largest and well known schools in the country, this place was as quiet as a tomb. The only signs of life were the scurrying families of squirrels darting for cover as we strolled through this abandoned wasteland. While the atmosphere of the abandoned Mansfield Training School may not have changed at all since our last visit, the grounds themselves have taken a rather serious toll. Chain link fences have been installed around the infamous Knight Hospital and a few of the farther south buildings. The tunnels systems have all been dug up or filled in. 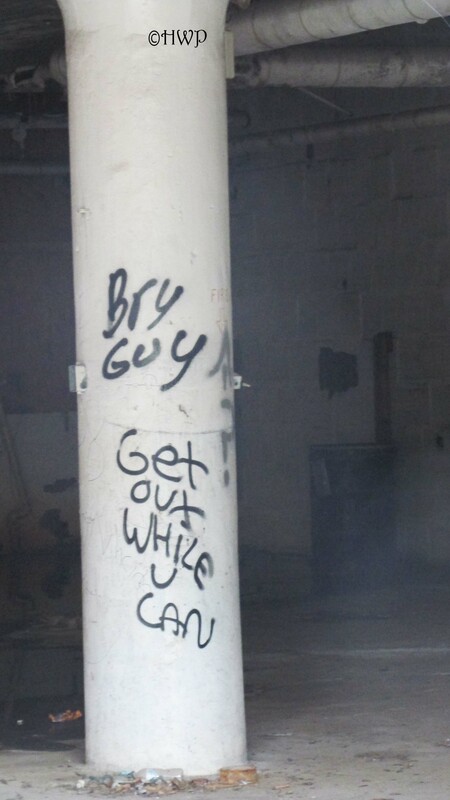 But even worse, vandalism has taken a massive rise in the past year. Doors have been kicked open. Windows have been smashed. Access to these dark and dangerous places is as easy as it has ever been. And inside these former hospital buildings is like the edge of Hell. Around each corner lies more chaos and destruction. Though it is as quiet as death in here, the pain and the anguish that this place feels cannot be ignored. We’ve seen a few spooky things happen here, such as the fabled “Angel of the Asylum,” but today this place felt more haunted than ever. The Saint Mary Statue had been moved. Shadows crept in the corners of every room. And there was a strong presence to be felt. And so I ask again, is it better to destroy or to decay? Over the years, there allegedly have been many different proposals to demolish these infamous grounds. But none have come to fruition. 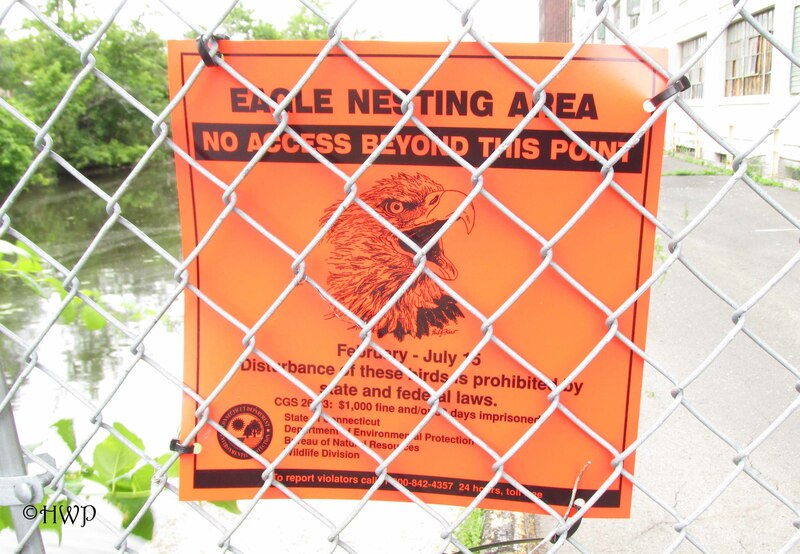 With the recent additions of the chain link fences, clearly someone wants to preserve this place. It is, in fact, listed as a Historical Landmark. 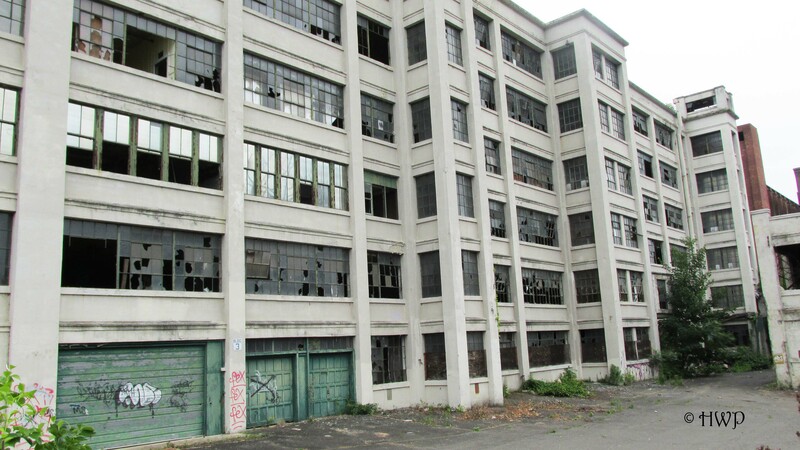 But one would not likely be able to guess that after one look at the state of the Mansfield Training School. It has fallen quite a long way in just twenty odd years since its closure, mostly at the hands of vandals. To destroy it would cost the state millions of dollars, and be the end of a once beloved landmark. But to leave it to decay would be the same result, except for the number of years it would take to get there. Neither of them seem like good options, and seems that some have chosen to forget about the abandoned Mansfield Training School. But its still there. Everyday. Wondering. Waiting. Destroy or Decay? Destroy or Decay? Destroy or Decay? 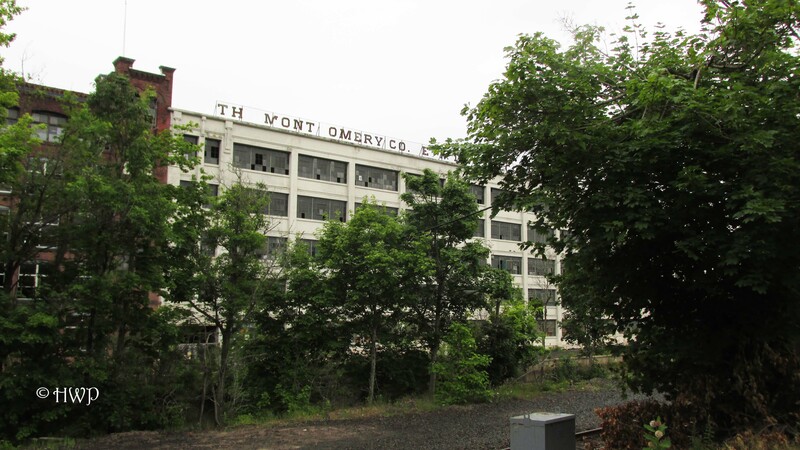 The state of Connecticut is home to many well-known abandoned mental hospitals. 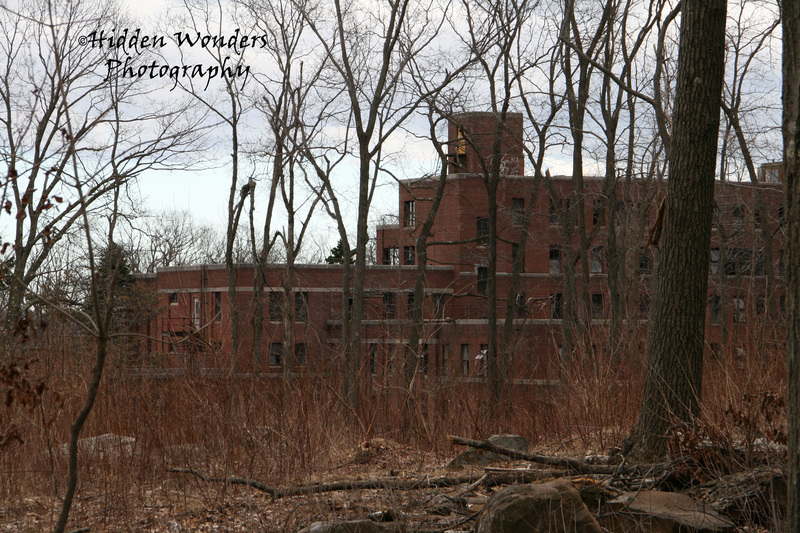 In the shadow of the rolling hills of Southern Connecticut once stood one of our most feared and legendary facilities: Undercliff Sanatorium. 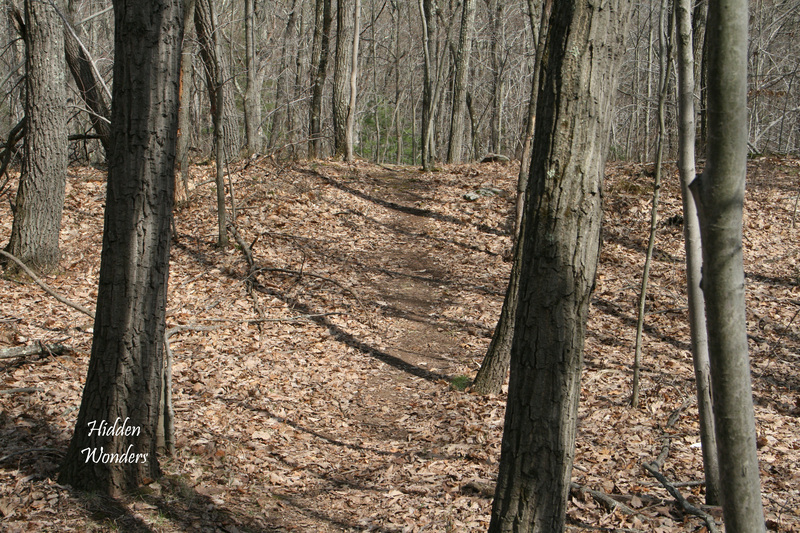 Located in Meriden, CT, the grounds stood just a short walk off the beaten path of Hubbard State Park. Though several buildings on the grounds are still active state facilities, the main hospital had been abandoned since the seventies. 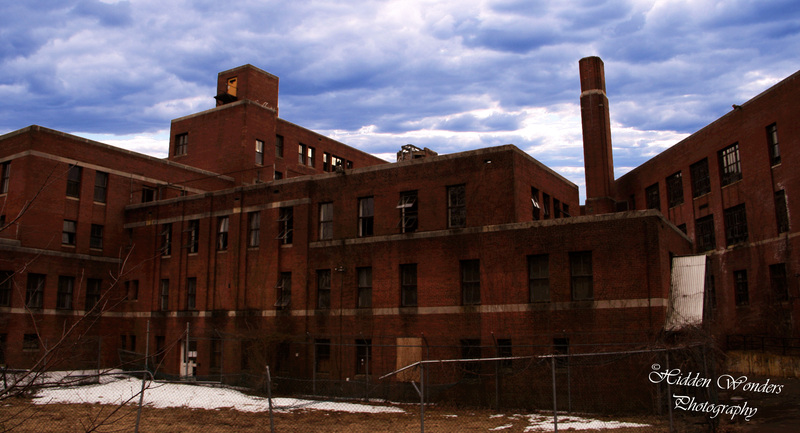 Since its creation, it served several different purposes including a mental hospital and a storage facility. For many years after its demise, the facility sat empty and decaying. It was not until the spring of 2014 that the old hospital was finally demolished, torn to pieces over a few weeks. 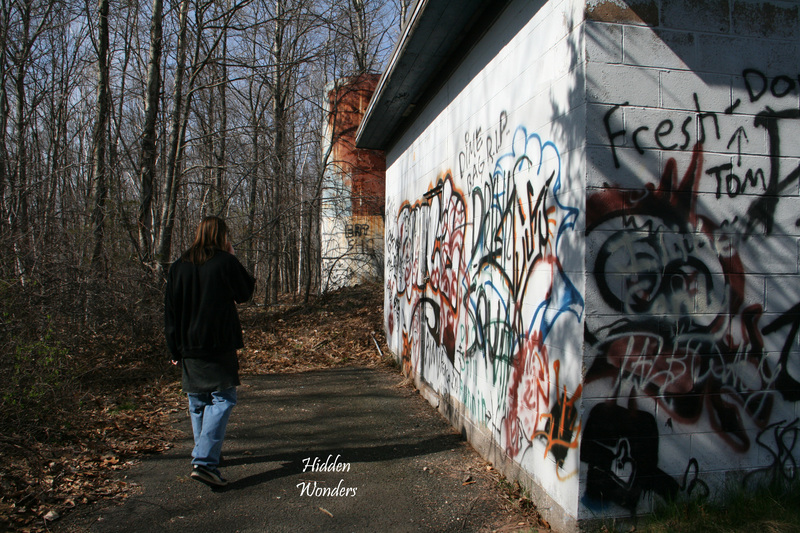 We were lucky enough to visit the abandoned Undercliff Sanatorium while it still stood in the early months of 2013. 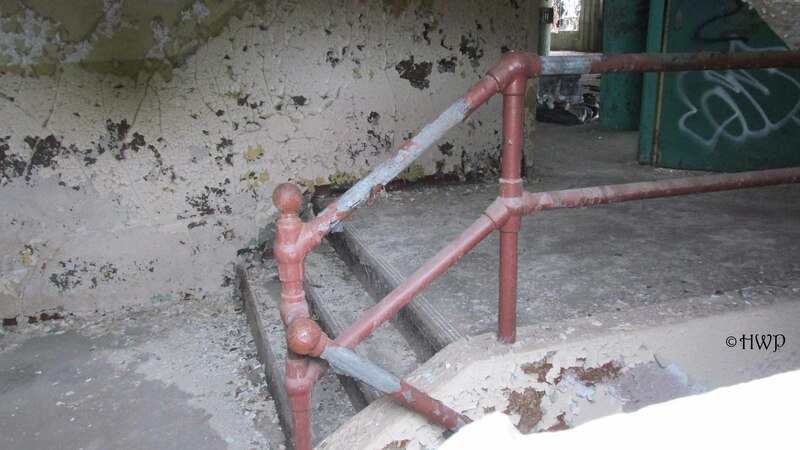 First opening in 1910, Undercliff Sanatorium is still an active state facility. It has recently been renamed by the state as Undercliff State Hospital, since it is no longer used for its original purpose. Covering over forty acres in the town of Meriden, the facility was originally built to treat children with tuberculosis and other diseases. As modern medicine developed and these diseases became less common, the facility slowly evolved into a treatment center for adults. In the 1950’s, all adolescent patients were transferred to Seaside Sanatorium. (see our write-up here) In the 1960’s, Undercliff evolved once again into a state mental health facility. The main hospital officially closed in 1976, and has essentially remained unused. 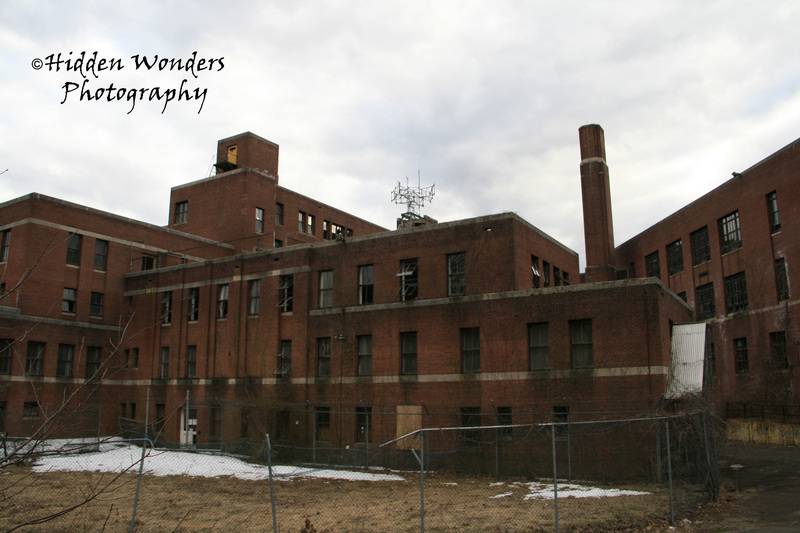 Much like all abandoned hospitals in Connecticut, there were rumors of patient abuse and there have been many alleged hauntings on the property. Reaching Undercliff Sanatorium was no easy task. Due to large amounts of vandalism and trespassing, the official road signs for the facility had been removed to discourage visitors. We had read reports about some people being able to simply drive down the road and up to the facility itself. We found these hard to believe, especially considering a Connecticut State Trooper is housed on the grounds. Since it is still an active state facility, Undercliff was said to have a heavy police presence. We decided to park at the nearby Hubbard State Park. We made the climb up the mountain to Castle Craig, which gave us an excellent aerial view of the entire Undercliff campus and the surrounding towns. We then moved down the mountain to find a better way to get to the abandoned facility. After climbing down the mountain, we came upon a road leading off into the distance. Across the road from us, we found an old path into the woods and decided to follow it. 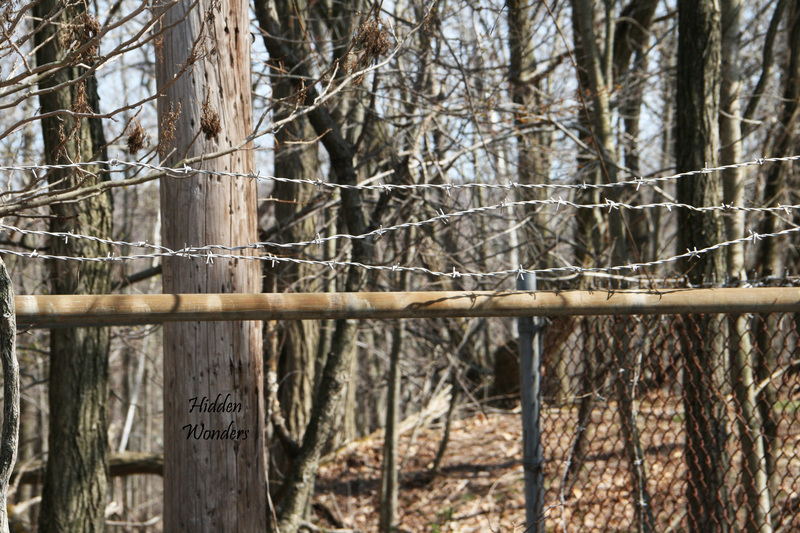 It led us deep into the forest, and eventually we came upon an open field leading up to Undercliff Sanatorium. It was massive, looming ominously in the distance as we slowly got closer. Despite all the rumors, we did not encounter a single trespassing warning. There were no fences, no signs, and we didn’t see a single police officer or security guard. The entire grounds seemed empty. It was weird. We cautiously moved closer and closer to the facility, unsure if it was illegal or not. But oddly enough, the closer we moved onto the grounds, the quieter things became. There was not a single sign of life. We continued moving up cautiously and quietly until we finally reached the hospital. The abandoned hospital was huge. After successfully crossing the open field, we entered the parking lot of the main hospital. There were two buildings adjacent to each other. One was a simple rectangular building while the main hospital was blockier with each floor going up a little smaller than the one below it. Both were made entirely of brick. 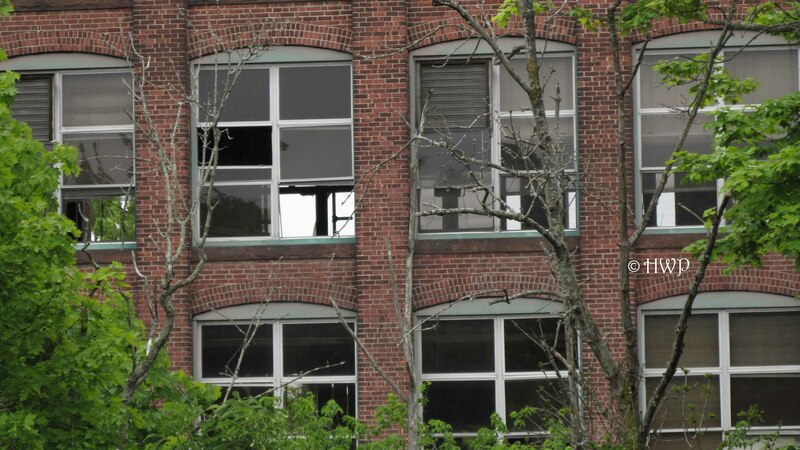 Every single window on the ground floor had been smashed and sub sequentially boarded up. Surprisingly, there wasn’t much graffiti on the hospitals exterior. A rickety chain link fence surrounded the main hospital, but there were so many holes cut into it that it was pretty much useless. The doors were all heavily boarded up, except the main door ironically, which had been busted open at the bottom. People were able to crawl inside easily through this hole, which looked relatively new. But there were asbestos warning signs posted everywhere. We encountered several other explorers, who helped us get inside via the opening at the main door. Inside, Undercliff Sanatorium was a maze of darkness. There are almost no pictures of the interior because we foolishly forgot our flashlights. The main hospital was at least seven floors, including a basement which was mysteriously flooded when the facility was abandoned. Rumor has it that the facility’s crematorium and morgue were located down there, and it was flooded to keep people away from them. Each hallway was a little creepier than the last. Each staircase was in ruin. Around each corner lay more shadows and more destruction. Vandalism was rampant everywhere. Oddly a lot of supplies seemed to have been left behind, and summarily destroyed by vandals. The main attraction of the abandoned facility was the theater. On the north side of the main hospital, which could be seen from the outside, was a large and ghostly theater featuring hundreds of empty chairs staring at a rotting stage. There was definitely a dark vibe about this place. It could be felt throughout the entire facility. Though it has since been demolished, the darkness of Undercliff Sanatorium can still be felt. When you visit a place like this, it never really leaves you. Just looking at the facility from the outside, we could feel presence that lay within its walls. 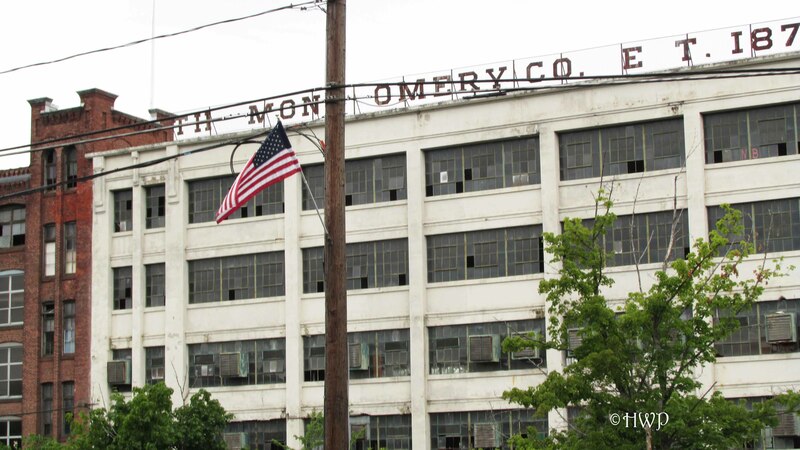 It is unclear at this time what the state plans to do with the now demolished site. Since the grounds are still an active facility, it will more than likely continue to serve that purpose. 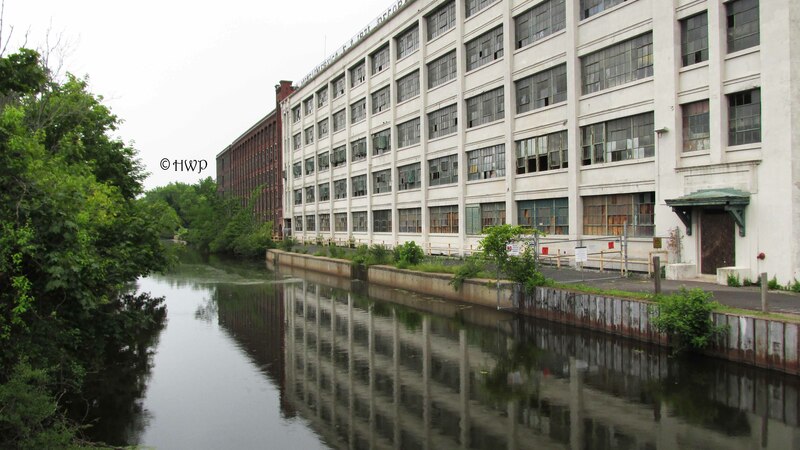 One fun rumor we heard about this place is that the Travel Channel show “Ghost Adventures” wanted to do a paranormal investigation here and even offered the State of Connecticut a good sum of money to allow them to do so. But all offers were mysteriously turned down. 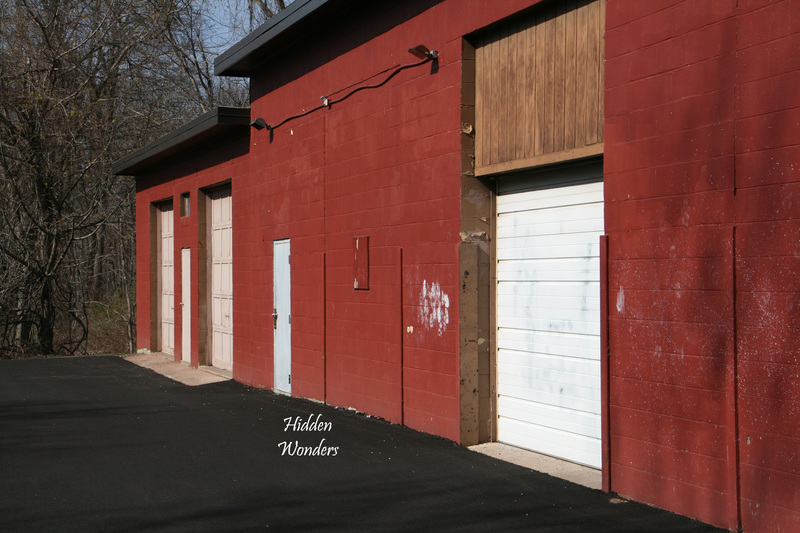 Unfortunately, whatever dark secrets and evil deeds this facility once held are no more. But the ghost of Undercliff will always be there. 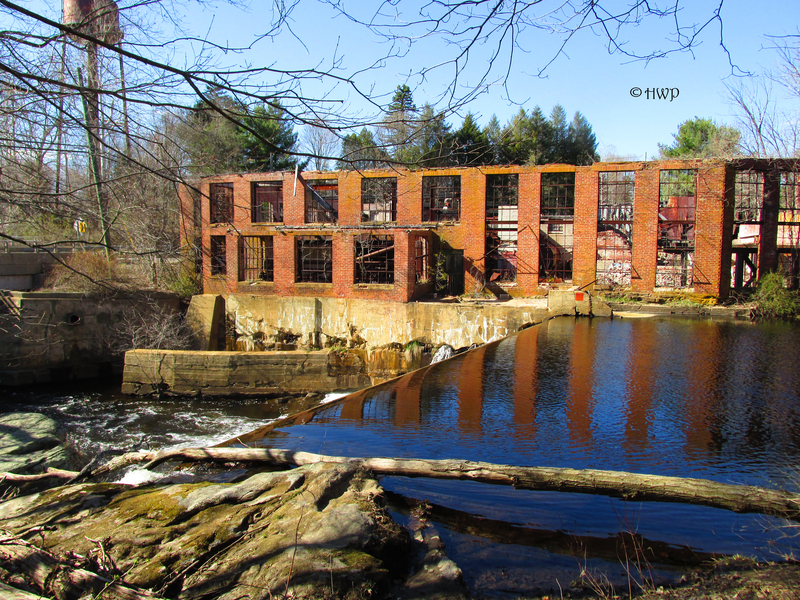 We have visited quite a few former military installations across New England over the last few years. Most people find it hard to believe that there are so many sites out there left abandoned by the military, but they are out there. You just have to look a little harder for them. Some are simply hiding right under the public’s noses. 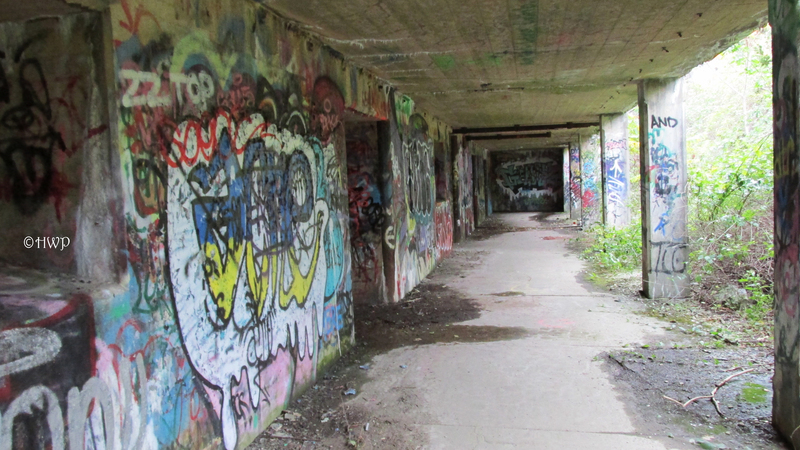 We have covered abandoned coastal fortresses in Rhode Island, deserted Air Force bases in Massachusetts, and of course the decaying Nike Missile bases in Connecticut. 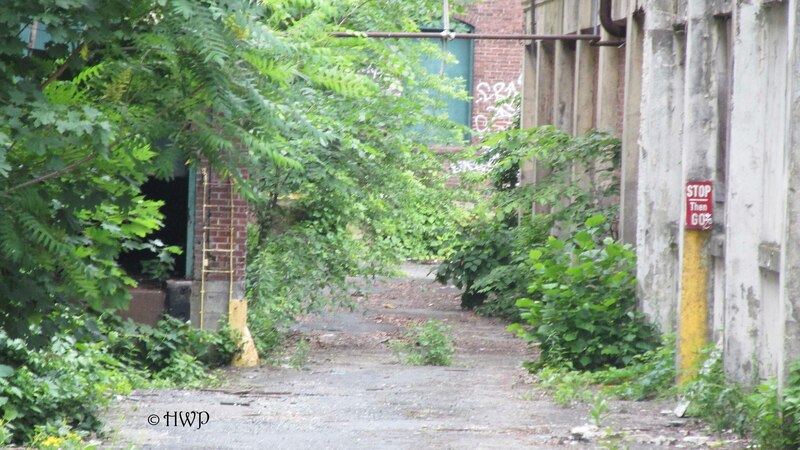 Here in our home in the Nutmeg state, the Nike Missile bases are some of the more iconic and well known abandoned places. 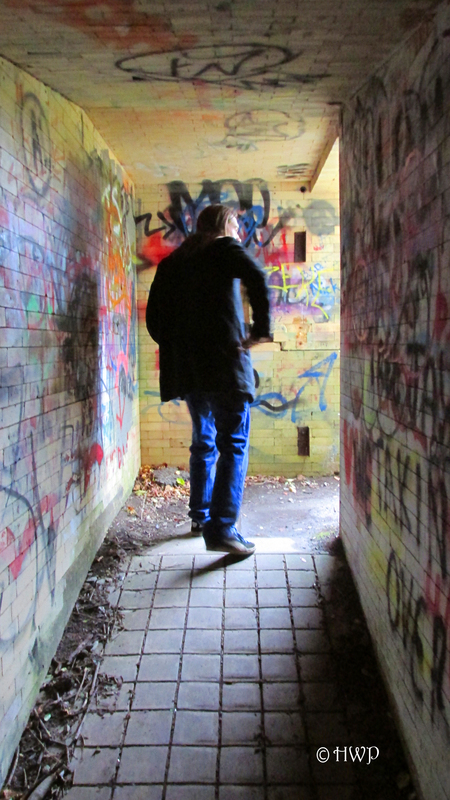 We have explored most of the Nike Missile bases that are still standing across the state. Most have become lost and forgotten sites, falling victims to nature’s fury and mankind’s neglect. But a few of these sites have found salvation through resurrection. During the most vicious years of the Cold War, there were at one time hundreds of Nike Missile sites all over the country. Some of these bases were even established in Europe. There were at least twelve known in the state of Connecticut. Most of these sites were coastal or along the Connecticut River. Others were in place as a defense for the city of Hartford. First established in 1945 as a project for the US Army, the Nike Missile sites were created as a new form of defense against aerial attacks on the United States homeland. By the mid-1950’s, there were sites in almost every state in the union. But also around this time, technology began to develop. The Army was moving forward with more advanced forms of missile defense, and Nike slowly became obsolete. It wasn’t long until the project came to end. With most sites being a part of active military bases, their shutdown was not a big deal. Some shutdown sites were demolished. Others were donated. But a few were simply left to rot. See our write-up on Portland’s Nike Missile base here (https://abandonedwonders.wordpress.com/2014/11/11/sound-the-bugle/). 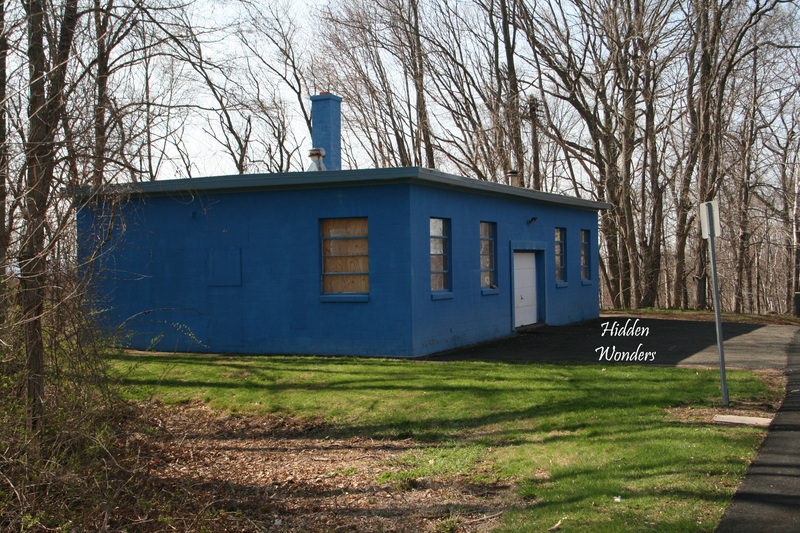 On an early spring weekend, we decided to visit another former Nike Missile base in Manchester, Connecticut. The base was in operation between the years of 1956-1961. 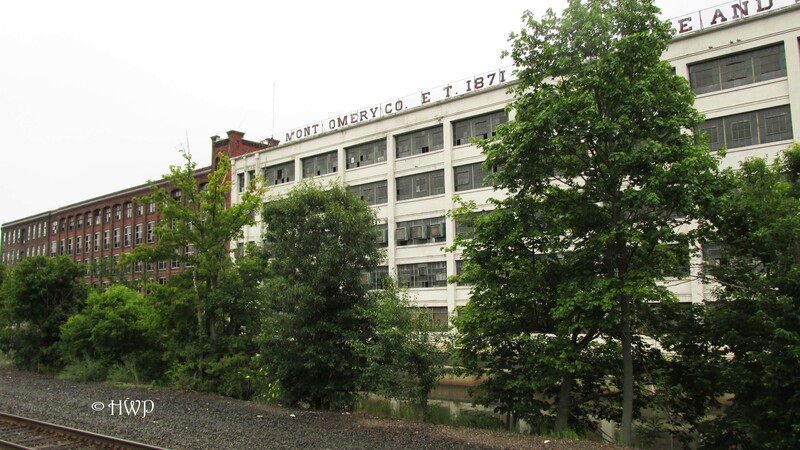 When the site was decommissioned by the United States military in the early 1960’s, the site was returned to the town of Manchester. Over the next few years, the town began to make use of the property by turning it into a recreational area. All of the missile launch pads have been removed, and most of the old buildings are still standing. The site is known today as the Nike Site Recreation Area. Finding the site is no problem. Just google it. 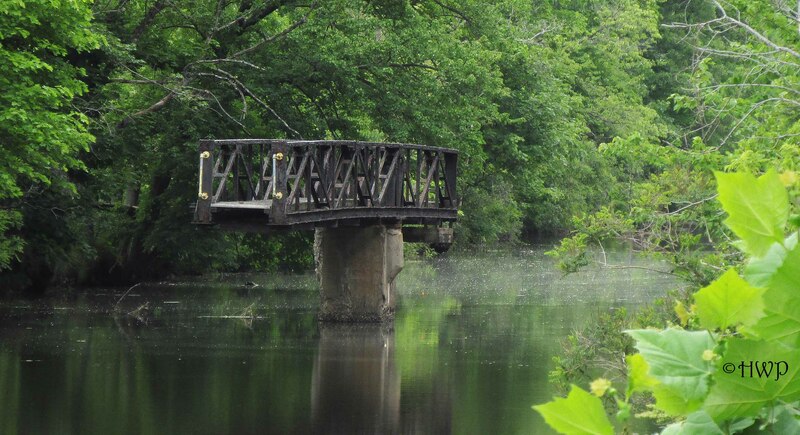 It is in close proximity to a few nicer residential neighborhoods in Manchester, not too far from the Glastonbury town line. A large and well maintained sign will welcome you to the area, as opposed to the armed guards that once protected this place. When entering the park, the main road will take you right into the heart of the former base. All of the buildings still stand, and there is ample parking. Though most of the buildings appear to be abandoned, they are not. One of the older buildings has been converted into ballet studio. Another one is now a preschool/daycare, with a brightly colored playground outside. All of the other buildings appear to be used just for storage. One is rumored to be a shooting range, but we found no such evidence to confirm this. Even though they are still in use, the buildings all look abandoned. 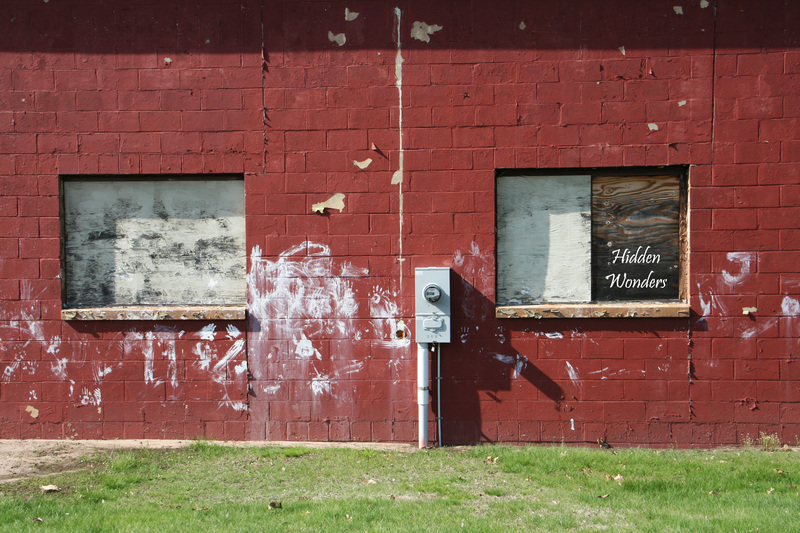 A lot of the windows are boarded up and they are not in the best of shape. 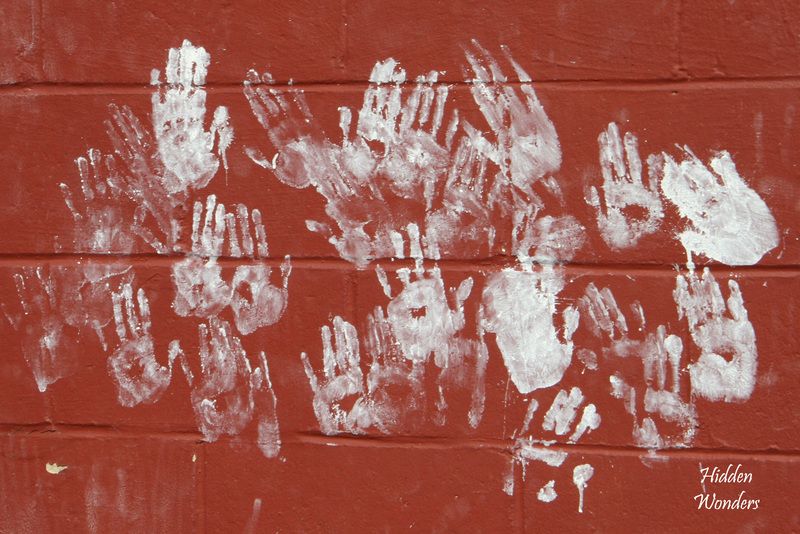 One building even has white hand prints scattered all along its outer wall, though we would guess this is from the preschool from across the lot. Standing right behind the old buildings is a baseball diamond. Though it was not in use while we there, it is clearly maintained. There were actually a good number of people here when we visited, but they were all congregated in the main area of the base. In order to get a real glimpse of the former site, you have to do some walking. There are a clear line of trails throughout the park. 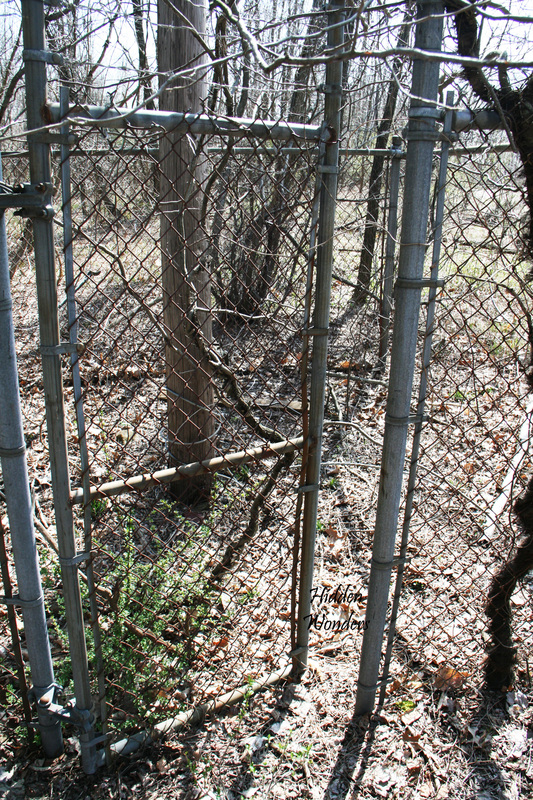 While following the main trail further into the base the old overgrown chain link fences can be seen, still protecting the grounds. 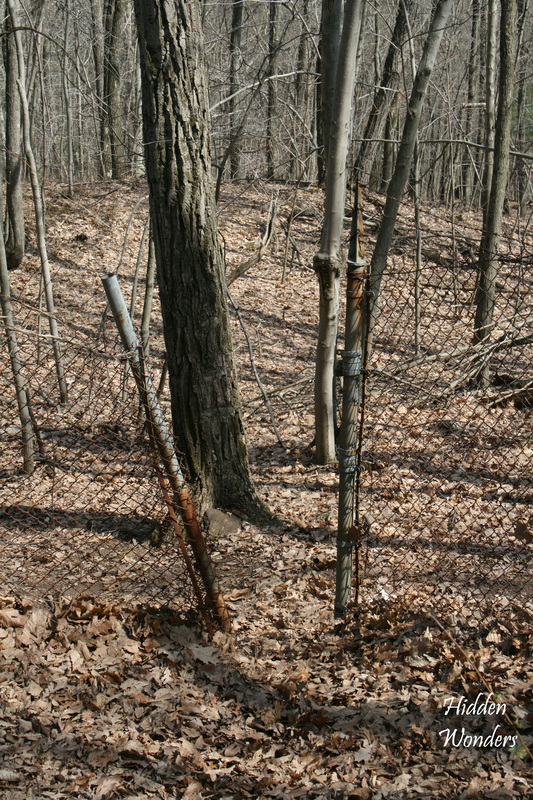 Following the trails into the base, the old access roads into the missile site can still be seen. We followed them through the fences and further into the woods, leading to a large clearing with large power lines overhead. This is where the missile launch pads were once located, remnants of them can still be seen. Continuing down the trail, we found the three former missile platforms. Each of these is a large cement foundation with a rusty metal blast plate attached, used to protect the concrete from the rocket’s heat. Alongside of these, there are several collapsed ruins that were once small buildings. Scattered amongst the site were random items such as old tires, cement markers, and old telephone lines. Closer to the main grounds of the base, there is the old water pump station. A large blue tank stands beside an old cement building. 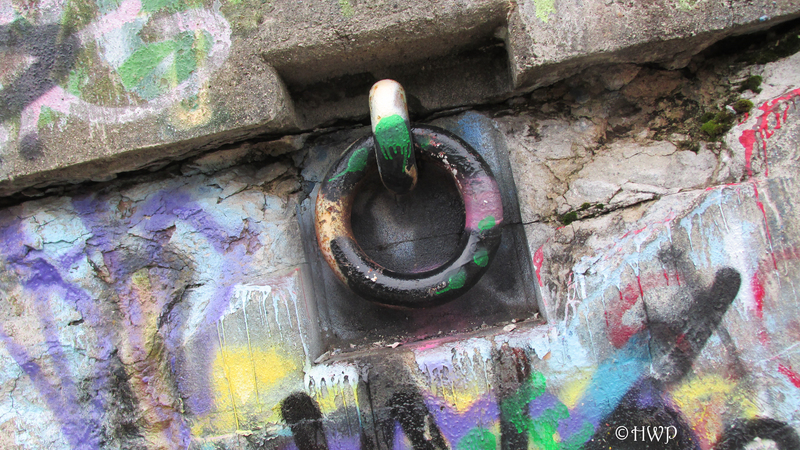 Both have become very rusted and covered in graffiti. 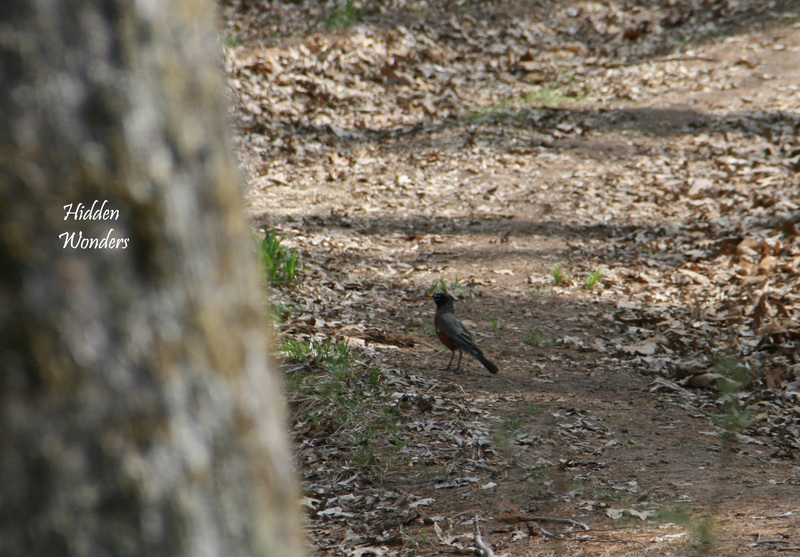 Though the site is designated as a recreational area, it clearly has its share of secrets. We found one small underground bunker that we were able to get into, though it was merely a small electrical duct. Mixed amongst the trees, the old wire system can still be seen. We even curiously found a large area of the grounds that was literally coated in broken glass sitting beside a dying fire pit. Either the Terminator has recently returned from the future, or this place has a vandal problem. Unfortunately, it will not be long before all of these ruins disappear. Though the remnants of this place’s past are slowly fading away, there are still reminders everywhere of what it once was. 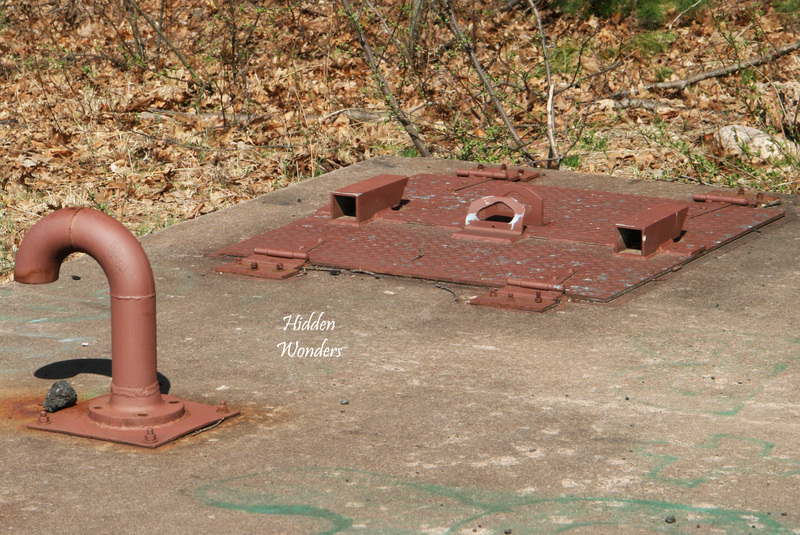 The Manchester Nike Missile Base may have swapped its garrison of soldiers for children and tiny ballerinas, but the ghosts of the Cold War still haunt these wooded grounds.